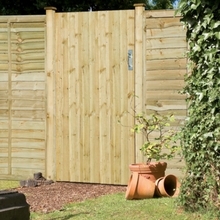 Our range of tall garden gates are perfect to allow access whilst still retaining an essence of security & privacy. The range of attractive joinery constructed traditional style gates add character to your home and garden. Take a look at our range of tall gates below that will suit any style of garden,and will go with any of our fencing range. Supplied in a pressue treated softwood for dutability. Perfect if you need a heavy duty gate - the framed, ledged and multi braced morticed gate boasts a heavy duty frame to ensure its more durable. The addition of capping gives the Country gate extra protection against the weather as well as providing a professional finish. 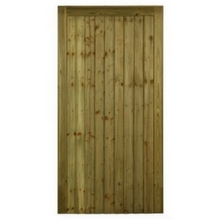 Supplied in a pressure treated softwood to give extra durability alongside its heavy duty frame. The Babington is a ledged and multi braced stop morticed gate. 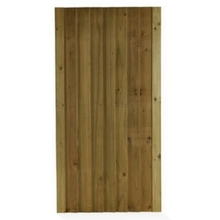 The 5" featheredged boarding offers your garden privacy and security. 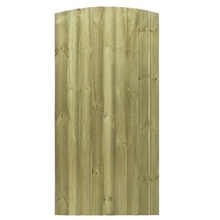 Its supplied in pressure treated softwood for extra durability. The Orchard is available in two different styles. 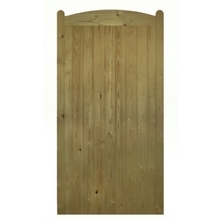 The Orchard flat is straight topped slatted gate, where as the curved offers a curved topped slatted gate. Both are ledged and multi braced to offer a strong frame and are made from kiln dried softwood which is pressure treated for durability. The Priory is also available in two different styles. The Priory is finished with a arched top to offer further privacy and security, where as the Priory flat has a level finish to the top of the gate. Both are completed using a pressure treated softwood and are created from tongue and groove match boarding. Like all our other tall gates the Priory is ledged and multi braced to ensure durability. 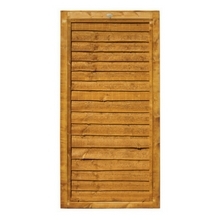 This Weston Closeboard gate is made of fine sawn timber and will look great in any outdoor space. Its pressure treated so is protected against external damage, prolonging its life. 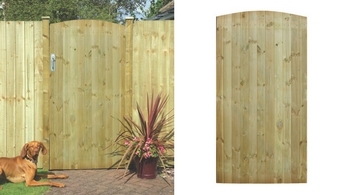 The Arched Featheredge Gate is ideal for use in conjunction with our Featheredge panels. 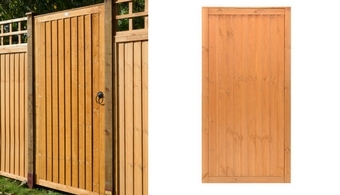 The popular arched top gate is made from pressure treated timber, ensuring longevity in use. Heavy duty Side Entry Gate to compliment our Lap Panels. Dipped in golden brown treatment for rot and decay protection. Can be used for side gate or main front gate. The Closeboard Gate is popular heavy duty gate. 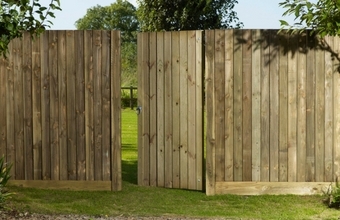 Complimenting the Closeboard fence panel collection, it has the ability to hang from either side. The dipped golden brown treatment protects against wood rot. Sturdy Ledged and Braced Gate. The tongue and groove structure provides strength and durability, ensuring longevity in use. This versatile gate can be used as a side entry gate or front gate, and the rounded top rail is designed to act as a watershed. The planed and pressure treated timber protects from wood rot and decay.